Quarry Dance returns to Cape Ann this weekend. The seventh iteration of Dušan Týnek Dance Theatre’s outdoor choreography visits the Manship estate in Lanesville for four performances, Friday through Sunday. The estate was the former home of sculptor Paul Manship, until his death in 1966, and subsequently home to his son John and daughter-in-law Margaret, renowned artists in their own right. Windhover Performing Arts Center, where Dušan Týnek's troupe has had a summer residency for more than a decade, hosts the event. The performances will take place at Canney’s Pit, one of two quarries on the grounds of the Manship estate. Quarry Dance VII will invoke memories of sculpture and dance. Each performance begins with Windhover founder Ina Hahn’s “Prometheus: Bringer of Fire,” a dance she choreographed as part of a series to commemorate Cape Ann sculptors. The work was conceived for Sarah Slifer Swift, director of Gloucester’s MAGMA Center, who will re-create it here again. It references Paul Manship’s most famous piece, the gold statue of Prometheus that graces Rockefeller Center in New York. Each of the Quarry Dances has highlighted a different location. This year, performances will bring audiences to the former home of this great American sculptor—an estate that is undergoing its own revitalization as an artists’ colony. Since the passing of Margaret Cassidy Manship in 2012, work has been done to transform the grounds into an artists residence. Art historian Rebecca Reynolds heads the effort, which has raised significant funds both privately, from the Mass. Cultural Council, and from other sources to re-furbish both Paul Manship’s home and his historic barn/studio. The effort to raise restoration funds has been ongoing for several years; some artists have already come to the estate. An exhibition of four photographers who were inspired by the grounds will open at Andover’s Addison Gallery in September. 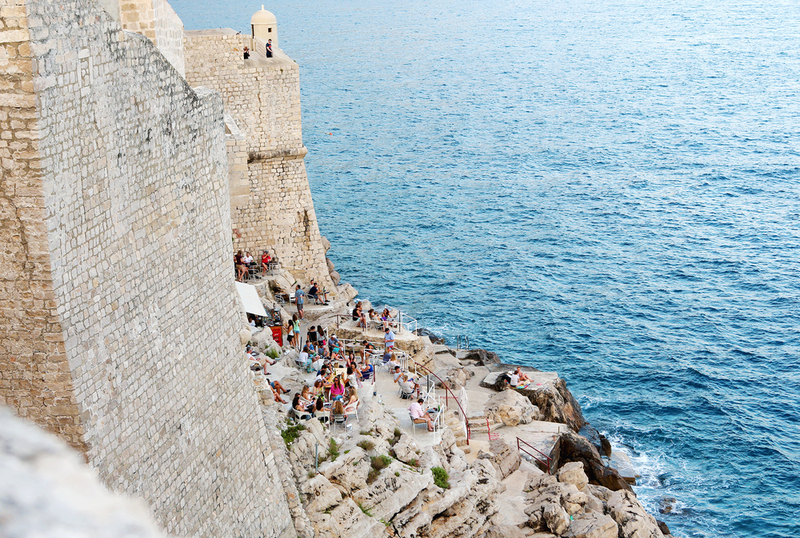 Every year Týnek creates a work that probes the specific terrain, with dancers performing on the rocky cliffs and in the quarry itself. 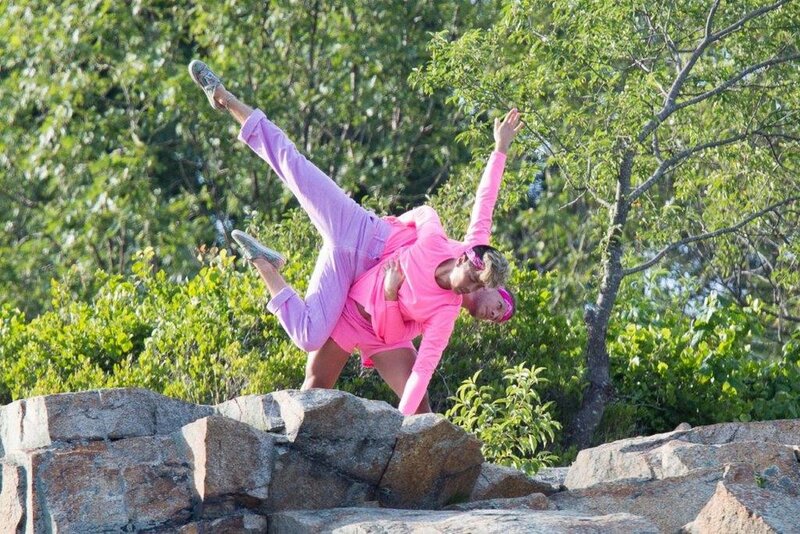 The Brooklyn-based troupe—some dancers have been at Windhover for a week already, teaching modern dance classes and leading performances—has created a strong following on Cape Ann, with hundreds attending the popular Quarry Dance presentations over the years. Four performances of Quarry Dance VII, with the Dušan Týnek Dance Theatre, take place July 27–29 on the grounds of the Manship Artist Residency & Studios, 10 Leverett St., Gloucester. Parking will be available at various locations on Washington St., and at the Lanesville Community Center. Performances are free, and weather dependent. Visit www.windhover.org or call 978-546-3611 for performance updates.